Call 864-886-0200 to contact Ultimate Exercise or for a free introductory workout. 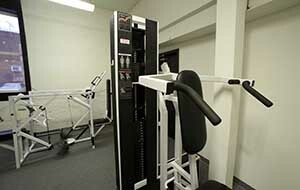 We understand that proper exercise is a stimulus which acts on your body to demand an adaptive change. There are four fundamental variables involved in this relationship which we use at Ultimate Exercise to produce the best results for our clients. High Intensity – To stimulate your body to make an adaptive change, your exercise intensity must cross a certain threshold before your body will respond. By training to muscular failure, we send an alarm to your body that more muscle and improved metabolic are needed. Also, we use a training protocol called “SuperSlow” which involves lifting and lowering the weights over a 10 second time frame. This eliminates acceleration and momentum which keeps the muscle under continuous load and more effectively fatigues the muscle. Brief Workouts – All of our workouts last 20 minutes or less. We desire the minimum amount of exercise that will produce the stimulus for adaptation. Anything beyond this amount of exercise only acts to consume precious recovery resources. Precise Record-Keeping – Keeping precise records of your workout performance allows us to know if we are manipulating the variables of intensity, duration, and frequency appropriately. By doing this our clients can show progress on every exercise of every workout. 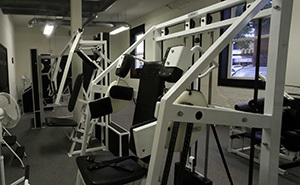 The Ultimate Exercise facility is designed to provide you with an ideal training environment. 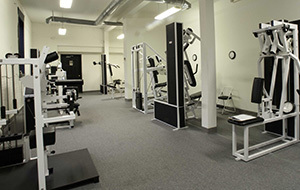 Privacy – during your workout only you and your instructor are allowed in the training area. No Distractions – no mirrors, no music, no phones ringing, no children, no loud colors, no plants, foliage or decorations. Continuous Professional Supervision – Your instructor will monitor every aspect of your workout, never leaving to answer the phone or deal with other clients. Your instructor will be professionally attired in dress slacks, shirt and tie. The Best Equipment – We use Med-X and SuperSlow Systems equipment. 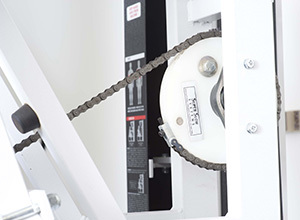 All of our Equipment is specially modified for using the SuperSlow training protocol. Environmental Control – The temperature is kept at a stable 61 degrees F. Research has shown that this is the optimal temperature for performing high intensity exercise. Also the facility is impeccably clean. Your time and investment is valuable and we will never waste it by having you do any form of exercise that is inefficient or non-productive. You will not find any aerobics equipment. It would be easiest if we simply “gave clients what they wanted”, but aerobics is not done at Ultimate Exercise because it is a recreational activity that does not require professional instruction. We train our clients very infrequently. During the first few weeks our clients train twice a week. Within 2-3 weeks all of our clients go to once a week training. This is not just something we can “get away with”, it is an actual requirement for the production of the best results. Make no mistake, we could make more money if we trained clients 2 or 3 times per week but the results would suffer. At Ultimate Exercise we want the client to be paying for results, not time spent in the gym. Ultimate Exercise is under the direct control of those who will provide your training. We do not have to answer to investors or shareholders. Our only concern is the production of rapid, uninterrupted results for our clients. New to high intensity training? Call us at 864-886-0200 for a free introductory workout. The introductory educational session and workout is free; payment for the next workout or workout package is due at the next visit. To assure adequate scheduling times a 24-hour cancellation policy is necessary. If you cancel with less than 24 hours notice you will be charged for that visit. Please arrive on time and ready to train. Busy parents are welcome to bring their children. Younger children can be placed in a Pac-n-Play in the training room. Older kids can wait in the front office area.